On the competitive market of UTIs prevention, CranMax® is the key solution for successful end products. 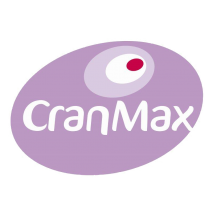 CranMax® is a cranberry Vaccinium Macrocarpon based active ingredient which is clinically proven to help reduce the occurrence of UTIs among women experiencing recurrent UTIs. Clinical studies really assessed CranMax® safety and efficacy. CranMax® features a patented technology called Bio-Shield®, which protects the bioactive components of cranberry from being denatured by digestive fluids in the stomach and thus offers an improved bioavailability. CranMax® is easy to use, either in functional foods or in dietary supplements.